5H Rated Penetrating Cluster Bar, 5/8” dia. 6H Rated Penetrating Cluster Bar, 1” dia. 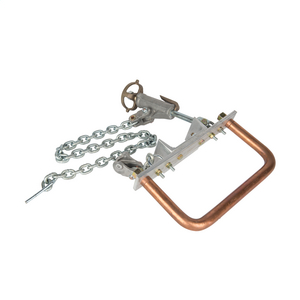 11" copper bar (5/8" diameter) accepts C-type or duckbill grounding clamps. Adjustable wheel binder and 36" chain. 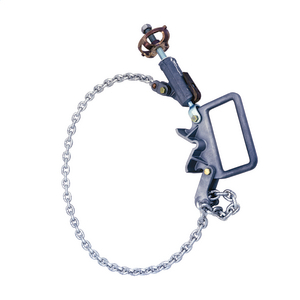 (Longer chain lengths available.) Accepts plain ferrules on #2 to 4/0 grounding cable. NOTE: The use of the plain ferrule lead IS NOT rated for 5H.